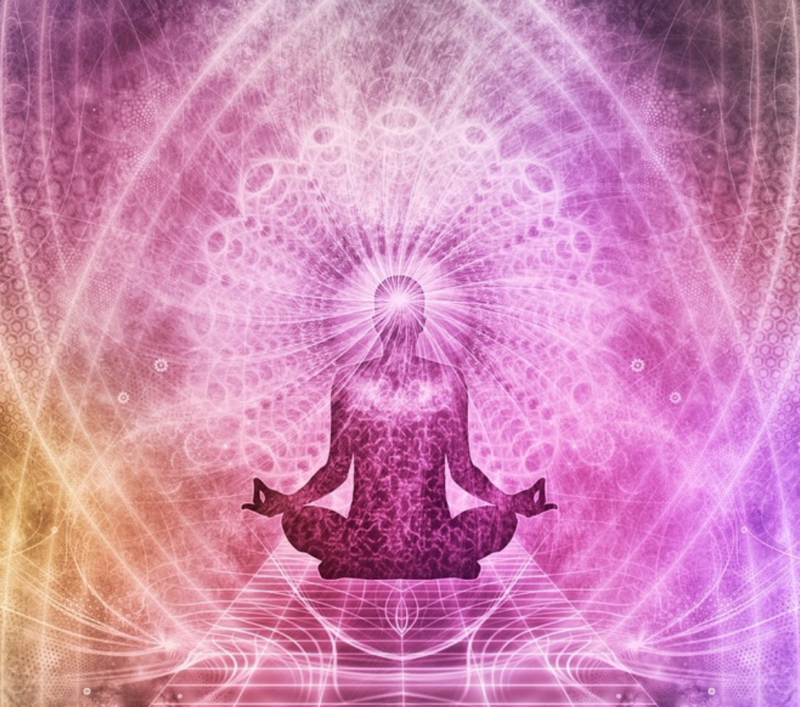 Are Hidden Energy Blockages Sabotaging Your LIFE? And in a few moments I’m going to let you in on a discovery that will clear your life from the Energy Blockages that hijack your power, and will allow you to live your BEST and most EMPOWERED life! ...even if you’re stuck in a rut right now. In fact, before coming across this unlikely discovery, I myself was trapped in an abusive relationship, I was depressed, and honestly I felt like my life was completely falling apart. I didn’t have any idea what to do next! My life had turned out so differently from what I’d dreamed of. And to top it off I was also in a lot of financial debt, which made me even more desperate and trapped in my situation. Until I discovered the hidden Energy Blockages that had been sabotaging me for SO MANY YEARS, without me even knowing it. I’m now living my BEST life, the one I was truly destined to live. I’ve traveled the world, all 6 continents, I’ve met and fallen in love with my DREAM man, I’ve become an author, and now I'm helping others to break free from their hidden energy blockages so they can live their best and most empowered lives too! …This one method allowed me to destroy the energy blockages, not just in my life, but in that of countless others too. …This one method will allow you to manifest more happiness, success and a better love life than you EVER thought possible. 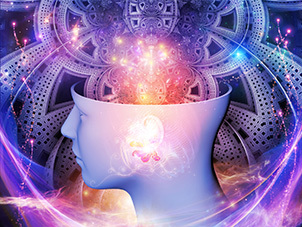 …Because once you remove the hidden energy blockages from your life, and start applying this incredible method, you’ll become a magnet for abundant life success. Others will be inspired by your story of transformation and empowerment! And what's more, you’ll be radiating the energy that you’re truly meant to be radiating. Which is amazing, because it means you’ll also be attracting other people who radiate that same positive vibration. 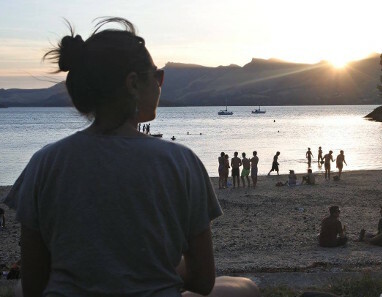 The sooner you apply this method, the sooner you’ll bounce back from any rut you may be stuck in, and the sooner you’ll start living your BEST life. And the great thing about this method, which I named ‘The Lotus Flower Method’, is that it’ll work for you even if you’re going through an incredibly difficult time right now. It’s designed to work even if you’re in financial trouble and want to get back on track to a life of financial freedom. It works even if you’ve never had any luck in your love life, and yet you DREAM of having the ultimate love life, either with the person you’re currently with, or with someone new in the future. And this works even if your situation feels helpless, because once you discover how to eliminate your energy blockages, and how to empower yourself to magnetize love and happiness, you’ll be unstoppable! Now, I have a quick exercise for you to do, where we’ll look at 3 ways to tell if hidden Energy Blockages are sabotaging your life. These 3 methods are just 3, of 13 different methods that I have to share with you about uncovering hidden energy blockages, and they are very helpful. The other 10 methods are contained in my book, YOUR LOTUS LIFE, that I’ll show you shortly. I’ll be happy when _______________________. So many of us have an idea of how our lives are supposed to be and we hold on desperately to that thought. We expect this or that to happen for our lives to turn out in a specific way. But in doing this, we keep our happiness trapped and only let it free for fleeting moments. We cling so desperately to what we 'think' our lives should be, that we don't leave room for life to unfold naturally the way it was designed. I spent years desperately trying to manipulate my life into something I had hoped it would be. I was desperate, in fear and waiting for something to happen so I could finally be happy. So life was returning the same desperate, fearful and waiting energy. The Universe responds to us with the same energy that we radiate! Only when I let go of the expectations, did I understand that the Universe always has a better plan. Letting go of the expectations of how your life is supposed to turn out is the first step to clear the energy blockages that are preventing you from living YOUR MOST EMPOWERED LIFE! And you can learn exactly how to do it and how to give yourself permission to be happy NO MATTER WHAT! Does this ever resonate with you? A lot of people think this about themselves, whether it’s consciously, or unconsciously. And it’s totally normal, because we are designed to become better and better versions of ourselves. The problem is though, for many of us, it can completely block our energy from being the kind of person who grows and makes changes to what we don’t like. The great news is that you can totally flip this energy blockage around, and open the floodgates to loving your life as it is right now… while still growing and becoming a better version of yourself every day. You can use the exercises from my book to release the pressure of "having to be better than you are". And then you'll see those self-destructive thoughts for what they really are, and you'll be able to squash them like a grape. Do this and you'll create the emotional-space that you need to transform into the kind of person you truly want to be! Until just a couple of years ago, I lived constantly tormented with vicious, self-destructive thoughts and habits. Self-esteem was for me something they wrote on the cover of Self-Help books, but that you could never really attain. This went on for more than 20 years! Having suffered a lot with bullying at school, I grew up seeking for acceptance and belonging. I lived my life feeling guilty and apologetic and believing that I was unworthy of love. And here's the worst thing... when we have low self-esteem, we ignore our own needs so that others will accept us. And I accepted disrespect and mistreatment for years! Too often I found myself weeping and begging, apologizing for things that, deep inside, I knew I wasn't guilty of. I was manipulated and controlled, unable to make my own decisions. At that time I couldn't even imagine my escape, all I knew was the never-ending cycle of disappointment at how my life had turned out. Then one fateful New Years Eve I had possibly my hardest moment... and the moment that triggered my journey for the next 4 years. I sat down to write my New Years resolutions, and I had nothing. I couldn't even write down a single bullet point about what I wanted to achieve next year. I couldn't imagine myself achieving anything worth while. I was broken. Over the past years my hope had slowly drained out of me and trickled away down the drain. I was like a zombie, stumbling through life aimlessly, dragging myself to work and home each day, hoping for a better future, but really not expecting one. How did I become so helpless and miserable? On that day I decided to leave. And after I took that decision, I just felt like I was being guided by some external force, much stronger than me. It wasn't hard to grab the few most important things that could fit in one bag. It wasn't hard saying goodbye to the house. Probably the hardest of all was the dog. I kneeled down and kissed her softly. Then I prayed for her to be well. I'm sure she knew that was a goodbye kiss, because the way she looked at me was heartbreaking. But I had to go. I just felt this overwhelming force inside of me almost dragging me out of that place. I was really being guided. I felt like the Universe had heard my call and was telling me, "keep calm and follow your heart. It will take you in the right direction. I have your back. Now go, gorgeous one! Your best life is about to begin!" I left behind everything I had built and traveled half the world to heal my Self. I must admit it wasn't always that kind of dream adventure. I went through many difficulties, but also had the best days of my life up to that point. I felt like I was starting to finally own my life. I crossed continents on my own and got to know thousands of amazing people. But what I really wanted was to know myself. I stayed in ashrams, studying the ancient scriptures and deepening my knowledge of Yoga and meditation. I wanted to get in touch with the deepest part of me. I wanted to understand why people got stuck in those vicious circles of fear, negativity and suffering. I wanted to understand why they weren't living their dream lives... Why I wasn't living my dream life. So I researched and studied and talked to many people, from PhD therapists to swamis in the Himalayas. Slowly, I began to uncover the energy blockages that kept people trapped in these cycles... and to understand the reasons behind these blockages. I had found the WHY! But I still needed to find out HOW to break free from those blockages. So I studied and researched more. I was decided to bend over backwards and do no matter what to find the solution. But nothing worked. I got so frustrated and disappointed! After months of relentless struggle, I gave up. I decided that maybe it wasn't for me to find out. I stopped searching completely. And it was at this point that my life changed forever. The day after I gave up, I was doing my morning meditation practice when I was suddenly flooded by a mighty wave of love, joy and gratitude. At that moment everything made complete sense! I was so enraptured by it, that I thought my heart was going to explode with happiness! My whole life passed like a movie before me and at that moment I understood everything! I heard the Universe whispering in my ear all the things that I always needed to know. It was speaking the language of love. And I could understand it! It was as if the Universe was rewarding me... not for my effort and struggle from the past years, but for finally learning to let go and TRUST IT! My heart was pouring love. I just couldn't keep those feelings inside of my body. It was so overwhelming that I started to cry. But those were no tears of sorrow. On the contrary, they were tears of absolute bliss and gratitude. At that moment, I realized that something had changed within me. I felt different. I reacted different. I felt full of my own personal power. I was no longer a victim. And I felt overwhelmed with endless possibilities for my future. You see, there's a flow of energy that connects us to a higher power. 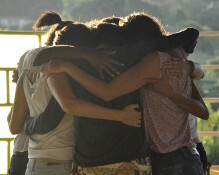 When we are in a state of connection, whatever we wish for, we get. Things happen like magic. Doors open, opportunities appear. You find solutions to problems effortlessly. You meet exactly the people you need, that can take you closer to your goals. However, most of the times we're disconnected from this state. And when that happens, we block the flow of energy. Sometimes we create those blockages. Other times, life throws them at us. But unless we remove them from our way, the energy just won't flow. But when the path is free and the energy can flow freely, we can expect miracles! Our power grows beyond imagination and we can attract anything we want! It's not magic. It's real. And anyone can do it! I know how hard it is when all those channels are blocked. I've been there, stuck in a rut, feeling hopeless and lost. And I discovered the means to breaking free from the energy blockages and regaining power over my life! And I have to admit something: it's better than I could have ever dreamed! I went through SO much to reach this point. And I know it's a point of no return. Because I've acknowledged my worth, unlocked my power and found the endless source of happiness within me. I transformed myself into a magnet of positive energy and good things! But YOU don't have to go through all those hardships in order to reach this point. And when I had finished, that's when I knew that what I had discovered was too powerful not to share, and it would be a disservice to others to keep this only for me. To uncover the hidden energy blockages that sabotage you and prevent you from reaching your full potential... and to set you free! To unlock the door to true empowerment! I poured every discovery I had made, every lesson I’d learned, and every technique that had helped me along the way into a simple yet incredibly powerful program that gives you everything you need to live the life you've always wanted to live! I boiled everything down into the most simple, easy to follow, done-for-you form possible. And finally, I had done it. And now I'm here inviting you to hop on this journey of self-knowledge and empowerment! I'm about to show you the best tools I know to recover your inner power and start living a LIFE YOU LOVE! 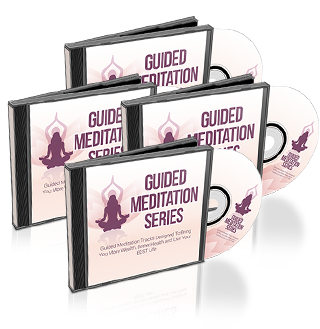 With the exclusive 'Lotus Flower' method to breaking free from hidden energy blockages and regaining power over your life! 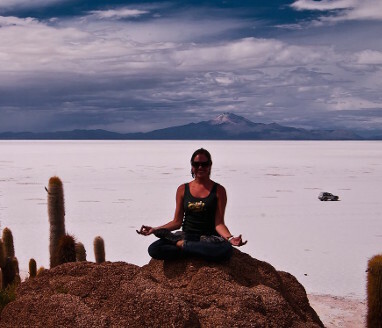 Your Lotus Life is the result of years of research, dedication, sweat, enlightenment, and lessons learned in life... condensed into simple steps that will lead you to your happiest self. It's a simple, yet profound 3-step system that will teach you the wisest way to stay strong through life's challenges and create the life of your dreams! 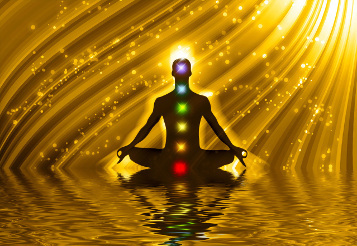 Step 1 is to identify the hidden energy blockages. It will bring you clarity on the areas of your life where you may have gotten off track. Step 2 is to clear those blockages. It will provide you the knowledge, technique and strength necessary to get back on track. And on Step 3 you'll use the Lotus Flower tools to magnetically attract and live your most amazing life possible! It doesn't matter if you're stuck in a rut right now and can't see any light at the end of the tunnel. I've done all the hard work so you don't have to! This is the ONLY method I know that can rescue you from the self-sabotaging cycles and make you the master of your life. Researchers in the field of positive psychology report that only a small percentage of your happiness level is based on your life circumstances and the great majority is based on your HABITS! So if you could learn how to decondition your destructive patterns and reprogram your habits, you would identify that which can make you become happier on every level! And this method will take you there! Every page of Your Lotus Life brings more confidence and energy to your life. 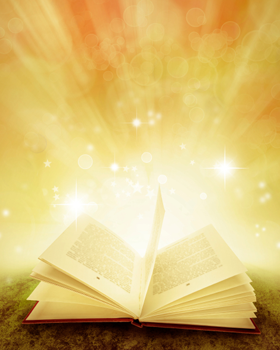 You'll notice the positive and lasting effects every day you read it! First, you'll get my NEGATIVE THOUGHT ERASER. Use this powerful technique to banish repetitive negative thoughts and influencers from your mind. Once you do this, you'll naturally fall into an 'abundance cycle' whereby your mind will become flooded with feelings of gratitude, happiness and joy. And there isn't even enough time for me to talk about how the SELF-ESTEEM BOOSTER works, but this potent tool will make you overcome low self-esteem and cultivate unbeatable self-love, so that you'll become the happiest and most confident person you know. Always wondered how to stop procrastinating in your life? With the PROCRASTINATION ELIMINATOR you will strengthen your willpower and self-control, so that you’ll be able to achieve ANY goal you set to yourself! Imagine yourself accomplishing your greatest dreams and living a life of abundance and achievements, without ever feeling powerless again! The deadly mistake that most people make when trying to be accepted and liked is that they try to be like somebody else. And you'll get to use the GENUINENESS ACTIVATOR instead to become the kind of person you were destined to be. Picture how awesome it will feel, when you stop worrying about what people think and start focusing on how you feel! Almost everyone is so afraid of failing that they refuse to try new things. But using the INTUITION AMPLIFIER, you'll instantly lose this fear and DARE! When you start implementing this technique, you'll awaken your inner wisdom to confidently face any challenge in your life. With TOTAL LIFE DETOX, you’ll develop the courage and wisdom to deal with any toxic situation you face in life! Imagine how great you're going to feel when you know exactly what to do with any kind of toxic people. As if it were not enough, the spetacular COURAGE ENHANCER will make you push through your comfort zone so that you can turn into the person you need to be to create the life that you deserve to live! And this isn’t even half of what you’ll gain inside YOUR LOTUS LIFE..
Can you imagine what it will feel like to finally uncover the hidden energy blockages that stop you from living your life to the fullest? Can you imagine how EMPOWERED you'll feel when you clear those blockages and use that energy to create a life you've always wanted? You'll manifest the life you've always wanted to live! You'll virtually materialize anything you've ever wanted; a loving partner that is crazy about you, financial freedom, a healthy and beautiful body and a life of joy and contentment. There will be no room for sorrow and hopelessness anymore - you'll have blossomed to your full potential! Let's face it: have you never envied those people who seem to have it all, with their perfect lives, perfect relationships and their dream jobs? Who doesn't want to take their projects out of scratch and CREATE their OWN dream job, one that gives them not only satisfaction but also financial feedback? Who doesn't want to be proud of their lives, of what they built and who they are? I'm sure all of us do! And I'm also sure this can be the pathway to that feeling of achievement and fulfilment. I know this sounds almost unbelievable... and I really can't wait for you to experience what it feels like to be free from the energy blockages. But this is totally proven to work because it's the unique combination of modern psychology and ancient eastern wisdom. Right now, you're standing in front of one door and you know that on the other side lies a world of opportunities and possibilities. On the other side lies the realization of your dreams, the accomplishment of your goals, the LIFE YOU'VE ALWAYS WANTED TO LIVE. You've got the key in your hands. But I want you to ask yourself if you're ready for this change. Are you prepared to live your life wholeheartedly and develop your full potential? Are you prepared to manifest your dreams into reality? It's a great decision, because this can bring you unimaginable power. Power to attain your ideal partner, job, body and virtually anything that you truly desire. And most importantly, it can give you power over your life! Are you ready to embrace this world of possibilities? ...how much would that be worth to you? You have probably seen other people who go through difficult periods in their lives and end up spending THOUSANDS of dollars on therapy and in the end they still feel miserable about their lives. Well, this is the biggest mistake they don't know they're making. They don't know about the energy blockages that are sabotaging their lives. And how removing them will allow them to experience their dream lives! And, as a result, they go through life hoping for more, hoping for happiness and contentment, but they never really experience it! And I don't want this for you! Because once upon a time, I was struggling, and sad, and at rock bottom. And I learned it the hard way how to clear the energy blockages and transform my life. 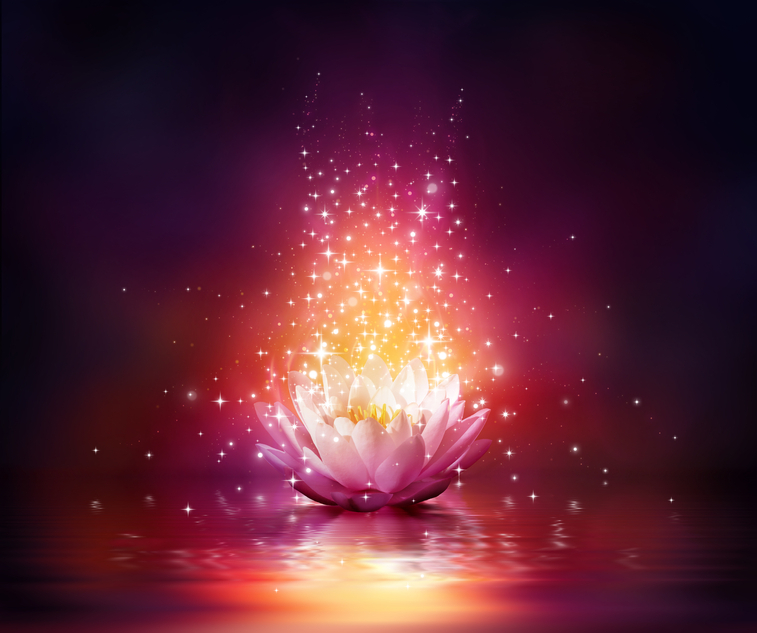 And now I want to pass that power on to you... by giving you the Lotus Flower Method that will bring your DREAMS to your REALITY! What do you think would be a fair price to be able to live the happiest life you could think of? I think the professionaly valued price of $50 sounds like a pretty good deal, when it comes to being able to face your worst fears, overcome the most challenging difficulties, develop steadfast confidence and unconditional self-love. 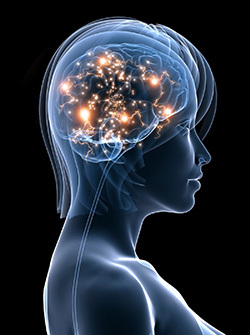 After all, psychologists and holistic therapists usually charge at least $100 per hour, with a minimum of 10 sessions, to give you the exact same advice and teach you the same techniques that I'm about to give you here. And I think it's still a great value for the quality of the content! So, you probably think that $50 would be a fair price for this program, but you might also be thinking that this price may be out of your reach. And I can totally understand that... after all, I know only too well what it's like to struggle. Today it's a one-time payment of just $19.90! Just click "Add to Cart" in the order box below to claim this incredible limited-time discount! Don't wait around... grab this amazing deal while you still can! ... t's fine when it's that pair of shoes or pants that cost a fortune and you know that you actually don't even need. But when it comes to finally being able to create the life of your dreams, YOU SHOULDN'T REALLY HAVE TO THINK TWICE! I'm just offering this discount for people who are really commited to changing their lives for the better! People who are willing to take a new route; a route in the direction of their HIGHER SELF! Are you going to grab this chance? Or are you going to let another opportunity to start living the life of your dreams escape? Since I was a kid, my mother always told me that Mr. Opportunity is a man who only has hair on his forehead, so when he passes by us, we have to be smart and fast enough to grab his hair while he's still in front of us. Because once he's gone... once he's walked past us, we can't catch it anymore, no matter how hard we try. So, are you going to grab Mr. Opportunity's hair while he's still standing right in front of you? 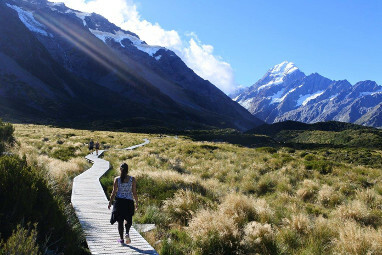 Because if you feel that there’s an abyss between your reality and the life you WANT to live, then this is your chance to span the abyss and DO something truly amazing for YOURSELF! The ONLY way you can lose right now is if you CHOOSE not to act. I think the time has come to tell you about the Method #3 to tell if hidden energy blockages are sabotaging your life. Do you take all opportunities that life gives you? Many times the greatest opportunities are right in front of us, but we just don't see because we're too busy thinking about how miserable we are. Other times, we may even see the opportunity, but we're just too afraid to take it. We cling to the way things are, even if we're unhappy with our current situation, and this way we block growth from happening. Fear is one of the worst energy blockages there is. It paralizes you and prevents you from seeing and grabbing the opportunities that are standing right in front of you. Your fear to change just can't be bigger than your will to change. And within you lies the power to choose between the fear and the will. You can choose to break out of 'dormancy' and BLOOM into your most incredible, vibrant self, just like a beautiful lotus flower. Did you know that the lotus flower grows from the mud and despite that is one of the most beautiful flowers there is? This is why it is considered a symbol of purity, rebirth, beauty and spirituality. And this is what I want for YOU! That the muddy waters of your life be the root of your rebirth, your transformation, your manifestation in the world. Which is why, just to show you that there’s absolutely NO WAY you can lose with this I decided to put all the risk on me and to offer you a 100% 60 day money back guarantee. So that you can invest with total confidence, because it's RISK FREE! If for any reason you're not satisfied, simply email me for a 100% refund! Read the book with due respect and dedication. Let some time for the knowledge to sink in, for the change to start manifesting. Take a full 60 days to fully inspect the program. And if you don't feel any change, if you REALLY don't think all that is worth the trifle of $9.95, just write an email to support@yourlotuslife.com and I'll give you your money back - right away! Because I want this for YOU! I want YOU to break free from what is stopping you from loving your life and living your dreams! Because E-V-E-R-Y-B-O-D-Y has the right and the capacity to actually reach this state! And I want to help as many people as possible to get there - with their own strength and power! Because I know it works! And I want YOU to experience it! A life you're going to be proud of! I promise you that if you dedicate yourself to reading and doing the proposed activities, you'll get to see the results in as short as 2 weeks! And all at absolutely no risk! You really don't have anything to lose, but SO MUCH to gain! Yes Ana, I want instant access to Your Lotus Life right now for just $9.95! When you place your order, I will ALSO give you three EXCLUSIVE bonuses that are usually sold separately - but today they're for FREE! 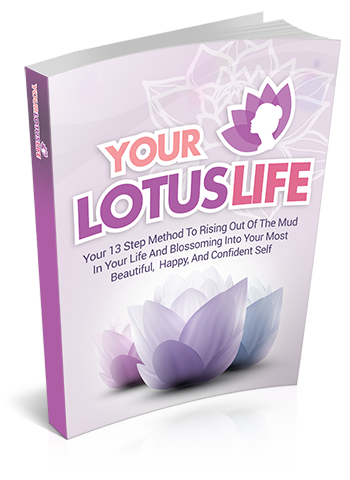 Get Your Lotus Life for just $9.95 with my 60-day Money Back Guarantee and claim 3 super bonuses worth $45 for FREE!! You'll get these exclusive and incredible mp3 binaural beat affirmation tracks that will quickly reprogram your mind for wealth, health, peace and joy, so that you can supercharge your ability to manifest your dreams in your life FAST. All you have to do is to listen to them for just 5 minutes per day!!! And see the change happening in your life! Your vibrations will have no choice but to respond, reprogramming your mind for prosperity and success! Your best life is 5 minutes away from you! This amazing booklet will tell you everything you need to know to start implementing true MINDFULNESS in your life NOW. 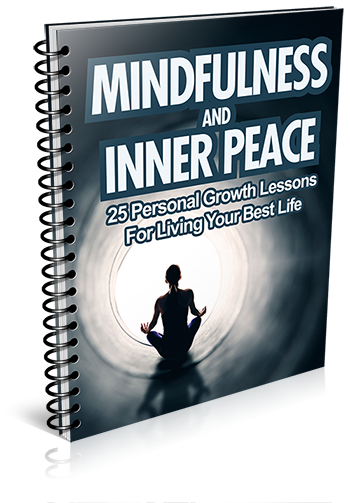 The 25 Lessons will take you closer than you've ever been to your inner Self and you'll quickly feel the change of being in touch with your inner peace, joy and love! Do you often get trapped in procrastination and self-sabotage? Well, this manual is the key for you to quickly and permanently defeat procrastination and achieve all your goals! 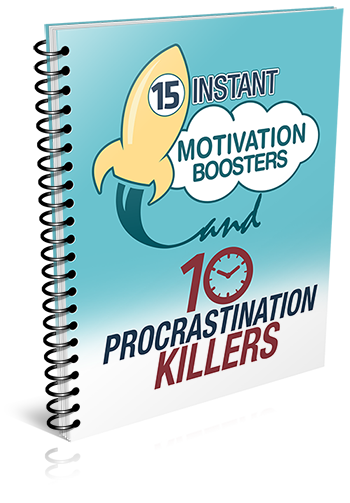 With 15 instant and powerful motivation boosters, you'll get inspired to change your habits and transform your life forever! Each one of these incredible Super Bonuses is worth at least $12 alone! And you can’t even get them elsewhere! Let's do the math: when you add it all up, that's $45 worth of bonuses alone! Bonus gifts that you'll get entirely free if you sign up today! That's a saving of $85! I can only guarantee it to you if you act today! You be the judge! ...You’ll be able to access this on ANY device at ANY time and ANYWHERE you like, including on your mobile phone, tablet, laptop or desktop computer! "But I've felt powerless for most of my life! Will YOUR LOTUS LIFE be the change for me?" Because I thought the same before diving into so many new-age self-help books, courses and therapies. And none of them has worked for me. To be honest, some of them in fact did, but it was always temporary. Soon I'd go back to my self-destructive thoughts and vicious circles. I can't really tell you right now HOW it works... and provide all the scientific, psychological and spiritual evidence. But you'll see for yourself that it works. And this is coming from someone who many times saw no other point in life other than suffering. And now I'm a happy and free soul, traveling the world and spreading the word about this method! But you have to believe it and take action! 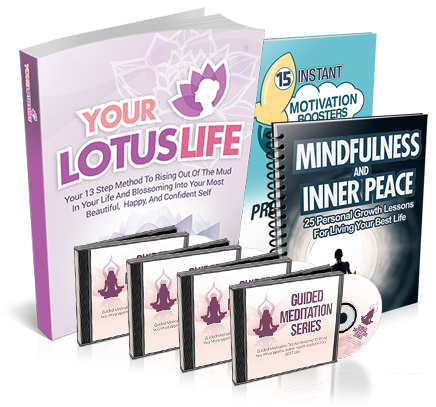 This will not be available forever so make sure you join today to get full access to these amazing 3 super bonuses, and the full Your Lotus Life system. Simply click the button below, enter your payment information, and you’ll gain instant access to the full Your Lotus Life! If you choose to take the leap and make a risk-free investment today in YOUR LOTUS LIFE, I personally promise you that you will achieve the kind of results that you've always secretly wished for, but never really thought were possible! Leave this page now and go back to your life as usual. Go back to your problems and to the same way of dealing with them. Submit to a mediocre life, knowing that you could be more... but you didn't dare to try. Your inner-critic will keep on criticizing you. Your energy blockages will keep on sabotaging you. Your vicious circles will keep on dragging you down. Your fears will keep on gobbling you up. Your discouragement will keep on making you feel stuck and powerless. You'll keep on looking for solutions, evermore complex and more expensive. Just accept this invitation and join me on this journey that will lead you to a life you truly love! You'll get everything I promised you, with an incredible discount and a risk-free guarantee! To decide for yourself that you've had enough and that you deserve more! You deserve to love yourself, you deserve to love your life! LOVE YOUR LIFE AND LIVE YOUR DREAMS! Remember, if you act now, you risk NOTHING! And you get three incredible gifts that are guaranteed to make this experience even more life-changing! So please, don't miss this opportunity! 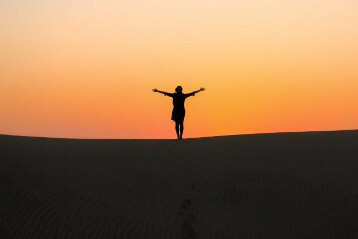 Act for your freedom, for your happiness, for your dream-life! Begin your journey to your dream-life! I look forward to getting an email from you soon, telling me about all of the incredible changes you've been experiencing with Your Lotus Life. Every email I get from people whom I can help means the world to me, so please write to me and tell me your story. P.S. This course is an electronic download so you can get started right away! No Shipping, No Waiting! And remember, this heavily discounted price of $9.95 is not going to be around for long, so if you want to get Your Lotus Life with the three added bonuses worth over $45, you need to act NOW! Don’t wait another second to blossom to your full potential! P.P.S Remember you have nothing to lose by ordering the Your Lotus Life program, no matter what country you're in. 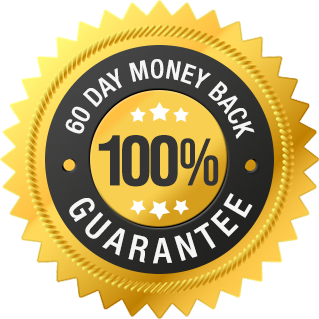 Remember you are backed by my 100% Satisfaction Money-Back Guarantee. If for ANY reason you are not completely satisfied, send me an email within 60 days of your purchase and my friendly customer support team will issue you a full refund, immediately! P.P.P.S. I don’t want to put pressure on you, but if you’re even a little tempted you need to grab this amazing, life-changing opportunity while you still can!